For a long time, many major American books were either not translated into French or poorly executed when done at all, due to the difficulty of the task. Since the early 1990s, things are changing thanks to a number of translators, among whom Christophe Claro stands out. 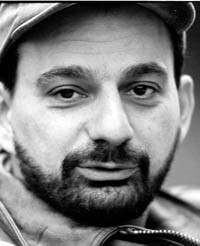 A writer who became a translator by chance, over the last 15 years Claro has translated the work of authors such as Salman Rushdie, Thomas Pynchon, and William T. Vollmann, receiving prizes for John Barth’s The Sot-Weed Factor and Mark Z. Danielewski House of Leaves. He is also co-head of Lot49, an American literature series launched to publish William H. Gass’s The Tunnel—a translation that took him six years. The series is also home to books by Richard Powers, Brian Evenson, Ben Marcus, and Jim Dodge. Claro’s latest novel was published in France in February and he has one book available in English called Electric Flesh (Soft Skull, 2006). His translation of Pynchon’s Against the Day will be in French bookshops next September, to the delight of French-speaking Pynchophiles who rest assured that they have someone up to the task. FM: In addition to Against the Day, next September will see the publication of your translations of Vikram Seth’s Golden Gate, J. Eric Miller’s Decomposition, and William T. Vollmann’s Poor People. As a translator, you surely have very little say in the deadlines you are being set, so how do you do it? Why do you even accept this sort of challenge—for lack of a better word? CC: It’s very simple. I do some math, estimate the number of pages I have to translate by day, then stick to this working calendar. Usually, I work from 4:30 am to 7:00 pm. I don’t think of this schedule as a challenge; it’s just that I discovered very early on that the more projects I took on at the same time, the more I was productive and at ease. It’s like being a computer: you can open as many files as your memory allows you and skip from one file to another. I agree it sometimes looks challenging, even freakish, but I guess this excess is proportionate to the kind of literature I translate. FM: The four books are extremely different. Miller’s is a demented noir road trip, Vollmann’s a non-fiction book, Seth’s a novel written in rhyming tetrameter sonnets and Pynchon’s . . . well, it’s Pynchon. . . . Could you shed some lights on the particular difficulties associated with each work? And is there any issue when you are jumping ship so to speak, from, say, Miller to Pynchon or non-fiction to sonnets? CC: Each work has its own difficulties, which is to say each one requires a different kind of attention. It’s like translating four different languages. It may sound complicated, but in fact it’s just gymnastics. You train your brain to compartmentalize the problems. Also, I never revise my work on a translation before the first draft is completed. When I’m translating I just try to get the music, the rhythm, the correct pace. Then I start again from the beginning and work on the text as if it had been translated by someone else. The advantage of jumping from one text to another is that you never get bored, and that each time you are stuck with a problem you can leave it there, forget about it, and then go back to it later to discover that the brain has solved it, almost as though it were a background task. FM: A good reader wants a book in translation to lose as little as possible. Ideally, the rhythm, the music, the richness, the depth, the meaning should be as close to the author’s project as possible. Some people think that reading a translated book in French is not quite like reading a book originally written in French. On the contrary, you always insist that your work consists in producing French prose. How does one respect Gass’s music, Seth’s sonnets, or Pynchon’s sentences while producing French literature? CC: Samuel Beckett said somewhere that books were like icebergs drifting across the continents, waiting for a place to settle. When you translate a book, you’re not manufacturing an equivalent; it’s not like importing a regular product. You try to decipher its DNA, then rebuild the whole thing. In order to do that you have to be sure that you have the proper tools, and, predominantly, the right momentum. You have to internalize the music, not the notes, the colors, not the exact hues. That’s why I work quickly when doing the first draft, because I want to keep the initial speed of the creation, and I kind of trust my linguistic instinct. Each book is written in its own language, has its own logic (however complicated or seemingly absurd). I would say that, in a way, you have to become the language of the text. FM: Beyond language, if you take a book like Against the Day, there is such a vast array of knowledge, science, theories, cultural, and technical references being used that this in itself contributes to the overall difficulty of the book. So you have Pynchon’s text, good dictionaries, but what other sources did you have to use? CC: With the Internet, research is very easy, and we don’t need as many dictionaries as before. But I would say the important reading one has to do is peripheral. For example, I read Warlock by Oakley Hall, because it’s a favorite of Pynchon and because many chapters of Against the Day echo this Western novel. I also re-read a lot the other Pynchon novels—a few pages every day, to keep the juice flowing. FM: You are often seen as the translator of monstrous works—The Tunnel took you six years, for example. People say some translations are impossible, and yet you do it. As you once told me, you don’t believe in the existence of books that are impossible to translate. CC: I am fond of books deemed untranslatable, because it’s precisely their untranslatability that is fascinating. It just means that you have to separate out the different problems, to organize into a hierarchy the so-called impossibilities. Some are macro; some are micro. There’s always a solution, because language is in itself a way of solving things. For example, translating Only Revolutions was very difficult, not because you have to keep the exact number of words (any dumb computer can do that) but because you have to internalize a “format” in your own way of writing. It’s really like speaking a foreign language while learning to speak in it. But it’s so exciting, so rewarding, that the more there are difficulties, the more the machine is fueled, and you find solutions. Mostly it’s technical,; the only thing is that you have to internalize all the technicalities so that you can work instinctively with them. You have to be re-born in the new text. FM: Let’s go back to your beginnings. If I’m not mistaken, you became a literary translator a little bit by accident: you were asked by Denis Roche—writer, photographer, and publisher of Coover and Pynchon, among many others—although it was not something you were planning to do. Was there any moment in the process when you asked yourself, What did I get myself into? CC: Denis Roche had read my first novel (Ezzelina) and he knew I was very fond of Pynchon’s prose. I had also translated some pages for him of another book, as part of a reading note. He himself is a translator and a writer, so I guess he knew that I would be interested in this other way of writing. When he asked me to translate Mile Zero by Thomas Sanchez, I immediately said no. Then I began to remember that I had translated several things by the past, some songs, a play by Albee, a few other things that I had totally forgotten about. So I called him back and said I wanted to give it a try. I was, at the same time, discovering all the great postmodernists. And I had just met Marc Chénetier (professor of American literature and translator), who had given me a list of all the great books that, for various reasons, were not translated into French. At the time it seemed to me that writing these translations would be very consistent with my own literary projects. I would be able to achieve through translations a part of what I wanted to do with my own books. So it was not like “getting into something” but staying right in the middle of my element. FM: Are you a translator that gets in touch with the authors for clarification? CC: Pynchon helped us [Brice Matthieussent and I] when we were translating Mason & Dixon. We did the Q&A by fax, through Pynchon’s wife/agent, Melanie Jackson. He was very patient and humble. Most of the writers I have worked with are very happy to provide answers and explanations, even when they don’t really understand why you stumble on such or such thing. I’ve had good fortune not to encounter big egos. FM: I was stunned when you told me (disingenuously?) that you had no specific education in either translation or English. CC: I learned English a bit at school, a lot by myself. I was just fascinated by reading in another language. It’s a riveting experience. It has nothing to do with bilingualism. As I already said, all the great books are written in a foreign language. So it’s not really about learning English, it’s more like learning Pynchonian, Vollmannian, etc. A very complex work is like a world in itself. You have to inhabit it, and you know you can do it because you have always wanted to breathe such an atmosphere. It’s exhilarating, not frightening. And the complexity guarantees the pleasure. FM: On top of your translation activity, you are also co-head of the Lot49 series, publishing Powers, Evenson, Marcus, Vollmann . . .
CC: In a sense, I have often been the “editor” of the texts I translated: I found them, then spent months or even years trying to find a publisher for them. So having my own series, thanks to Arnaud Hofmarcher, is very consistent with my approach. For me, translate means also to secure a consistent niche for a text, to give support to it, etc. Lot49 is a place where I can do things that would be more difficult to achieve elsewhere. It’s a laboratory, a circus, and a great tribe. FM: This is an important part of the work of a translator which is rarely mentioned: you don’t just translate what a publisher asks you to; you also work on texts without publishers and look for one. A sort of salesman. . . . Do you enjoy it? How difficult is it? CC: Vollmann was hard to sell from the beginning, and it took me seven years to find him the right niche. But I do like the salesman part because I feel that to translate a book is also to trigger a translatory movement, from one country to another, from one publisher to another, from one readership to another. It’s important to find the right publisher for the book, otherwise you just launch it into the stratosphere, into the void. I like to give support to the novels I’m translating. It’s like a pact. FM: You’re name is always linked to U.S. postmodernism and its aftermath. What drew you to those writers? CC: What fundamentally drew me to these writers is their will to create a specific form for each of their projects. Also, their will to force the reader to invent herself. These are writers who are constantly trying to renew themselves. They never settle on a formula. And, above all, they’re not afraid of creating monsters. For me, Frankenstein is a verb, not an identity. I have always been attracted by what Tom LeClair calls “the art of excess,” rather than by simplicity, although I do admire Beckett. So, after reading the Beats, I very naturally jumped to the “pomo” writers. There’s a kind of community of readers who love big-bang novels. Once you’ve discovered one, it’s like a chain reaction. I like it when a book invents the reader it needs. FM: What is the difference between U.S. literature and French literature today? CC: It’s a very complicated question. It would require a few books to answer. Let’s just say that, in both cases, the literature I like is similarly threatened. And in both cases, the interesting things are to be found in small publishing houses, more and more. FM: We’ve been talking about Claro the translator and Claro the publisher, but before all this you are Claro the writer. Your latest book is Madman Bovary. Is this a translation of Flaubert into Claro? CC: My new novel is not so much about Madame Bovary the book, than about the reading of the novel—reading as an experience. My narrator is playing with the original, like a whimsical child, an angry child. He wants to pervert the limits of reading. To interact with the sentences, the plot, the characters. My nameless narrator is a virus and he proceeds as if Madame Bovary was a living body. FM: You mentioned earlier a link between your activity as a translator and your own writing, what do you mean by that? CC: Since translating is writing, it’s like being a succubus. What I get from the works I translate is pure energy, patterns, how to use them. I can learn a lot from them: what to do with the plot at a certain point, how to overcome some technical problems, etc. I often compare the process to the dismantling of a gun. The more you do it, the quicker you do it; then you can do it blindfolded. You become the reading, its movement. It’s exhilarating. FM: Electric Flesh is your only book available in English. It was blurbed by Salman Rushdie, Tom Robbins, and Percivall Everett. How well did it do Stateside? Any other publications coming up? CC: It did not do well, partly because my American publisher, Soft Skull, had enormous distribution problems at the time of the release. My English translator, Brian Evenson, has completed the translation of another book of mine, Bunker Anatomie, but we’re still looking for the right American publisher. 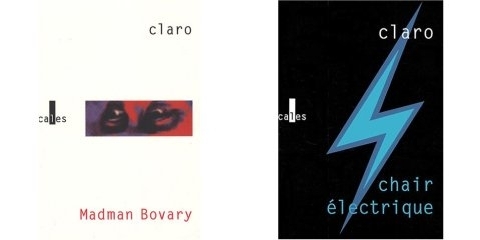 And two of my books are going to be translated into Italian (Madman Bovary and Electric Flesh). FM: How did it feel to move from translator to being translated? CC: It was a great experience, because it enables you to read your text in another language. It becomes something else, acquires a new life. And for me it was important, because it meant that I—at last—could have some American writers read my book. FM: Once the four translations we discussed earlier are out of the way, what are your projects? CC: I’m going to translate Omega Minor, by Paul Verhaeghen (from the English translation he has written himself). But above all, I’m going to work on my own projects: Livre Vain, which I’ve already been working on for three years, and maybe an essay about translation. I also have a project to try out laziness, but maybe that’s too difficult a thing for me.